We launched the Coox Gold bathroom and shower fittings collection due to the re-newed interest in gold taps in bathroom design. With its contemporary styling on a timeless traditional bathroom design, the Coox Gold thermostatic shower valve is as close to beautiful as a shower control can get. 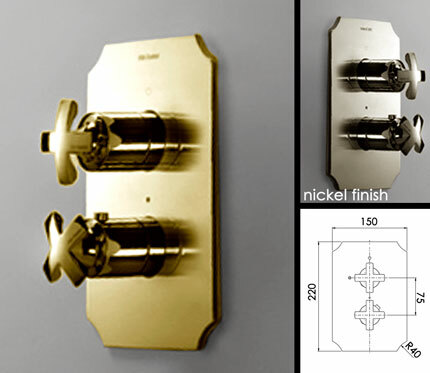 Having contemporary flat crosshead handles and a gold finish on solid brass construction the Coox is quality European manufacture. The Coox shower control can be supplied as a 1, 2 or 3 way operation.